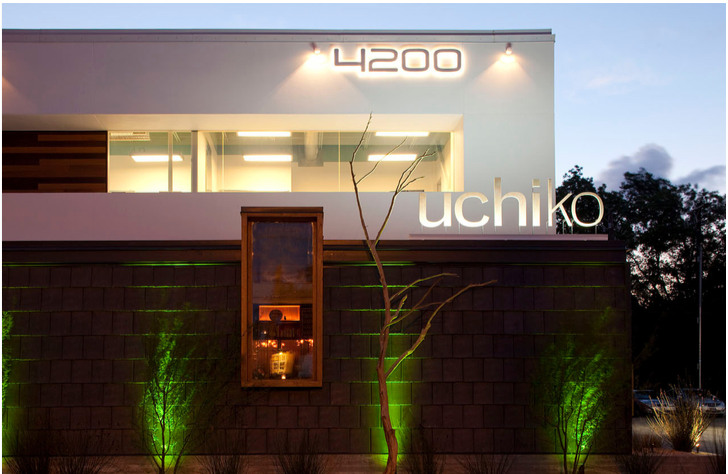 Uchiko is an award-winning modern Japanese restaurant that occupies the corner of a mixed-use complex at 4200 North Lamar. The former medical facility is totally unrecognizable after a complete interior and exterior overhaul. 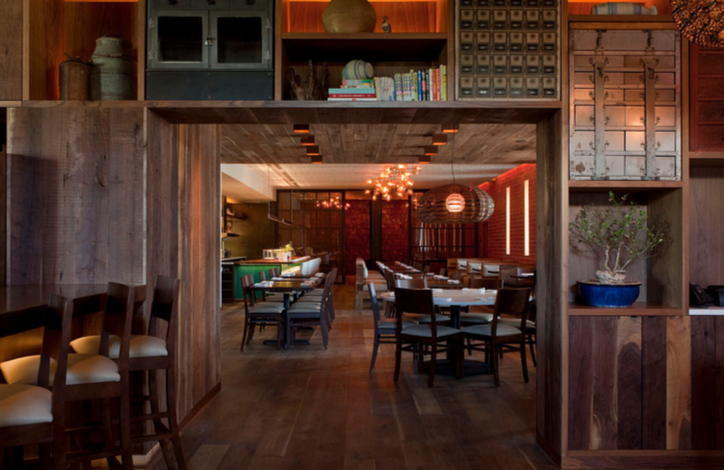 Uchiko’s design by Michael Hsu Office of Architecture, is inspired by a modern Japanese farmhouse theme. The 5,000 SF restaurant is clad in warm woods in the three distinct dining area, with a sleek sushi bar that looks into the state-of-the-art kitchen. Adding to the warmth of the restaurant are brick and bronze accents with custom lighting fixtures that cast a glow throughout the space.